Sound absorption products are a separate but essential part of the mix when designing effective acoustic solutions to control noise. 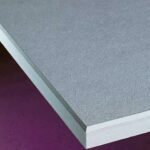 Sound absorbers are specially designed to absorb the sound within a room or space and help reduce sound reverberation or echo. 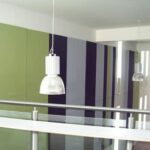 Sound absorbers do not stop the sound leaving a room but will reduce the amount of noise experienced by reducing the reverberation (echo) within the space or enclosure, making it a much more comfortable place to be. 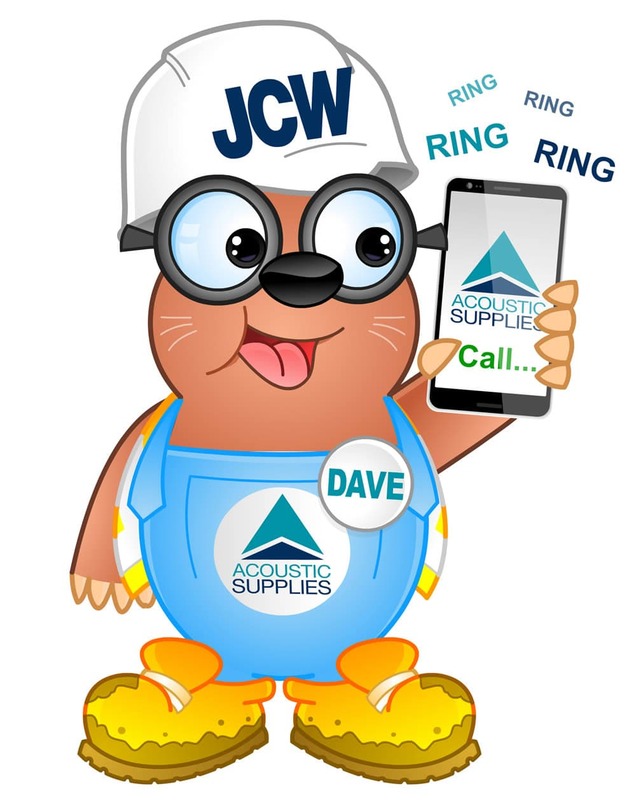 Soundproofing, as it is commonly known, is all about creating an acoustic barrier and requires different products. If you want to “sound proof “ a room as fully as possible you almost certainly need to install both sound absorption products and soundproofing products. CE mark and Declaration of Performance (DoP) information is available to view/download where appropriate. A high specification acoustic panel. Pre-finished, direct bond, flame retardant ceiling and wall panel. 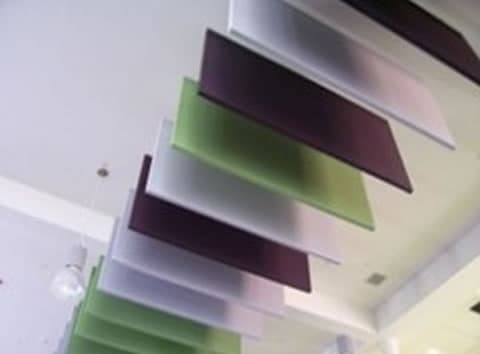 Decorative sound absorption panels which reduce reverberant and low frequency noise, hung in line or at different heights to create an unusual design feature. These acoustic tiles are designed to be attractive and functional. Each individual piece slots perfectly into the next piece to create a magnificent mosaic on the wall. 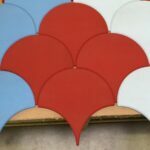 Decorative direct bond or hanging absorbers in a range of fabric or plain finishes with both thermal and acoustic insulation. Decorative acoustic ceiling panels made from high density mineral wool which resists mould, bacteria and fungus.